Just one of those reminders about how much I love grapefruit and how satisfying I find it. I ate 3 today. They were smaller and oh so tasty. 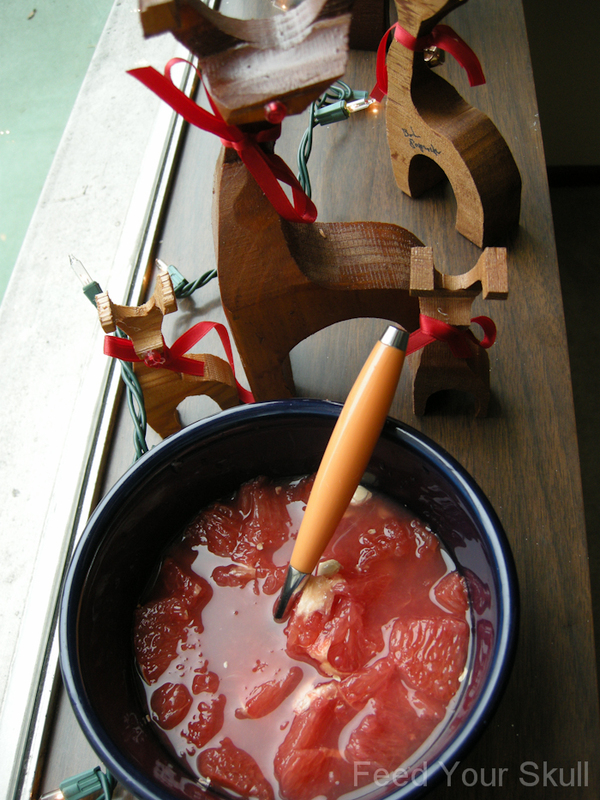 I use that grapefruit tool and then just scoop them out into a bowl or a container to take to work. Easy peasy! Even the reindeer were jealous.